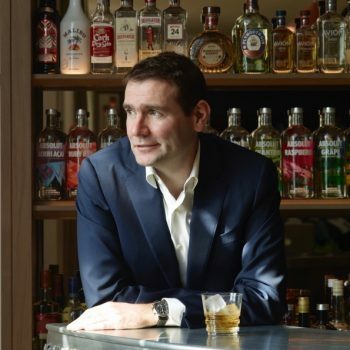 Analysts have poured cold water on the rumour that Pernod Ricard is mulling a sale of its wine division, arguing that while there may be further sales of non-core brands, a wholesale disposal of the entire wine division is “unlikely”. Analysts firm Jefferies International issues a note in response to a report in Bloomberg last week that claimed the French drinks company was in “early discussions” on a potential sale of its $500 million wine unit. Bloomberg quoted sources “familiar with the matter”, who wished to remain anonymous, and said the company had been looking at options due to the $565 million worth of cost cuts it claimed was being demanded by new shareholder, US hedge fund Elliot Management. Jefferies responded that while disposal of non-core assets were an ordinary part of business – echoing comments made by CEO and chairman Alexandre Ricard last month – it questioned whether a disposal of the entire wine division was likely. “While we do not altogether rule out a wine disposal, we do not necessarily see [Pernod Ricard] reacting in a kneejerk fashion to external pressure,” analyst Edward Mundy said in the note issued last week. Mundy noted that Pernod Ricard’s premium wine brands, including key strategic brands Jacob’s Creek, Campo Viejo, Brancott Estate and Kenwood, accounted for around 5% of the group’s sales, with growth of +2% in financial year 2018, compared to +4% in 2017. “We think the margins on wine are in double-digits, with double-digit return on capital employed [a measure of long-term profitability], albeit lower than for spirits as wine is an agricultural capital-intensive business,” he noted. Champagne brands Mumm and Perrier-Jouët sit outside the premium wine brand division, he noted. Jefferies went on to note the strength of the company’s balance sheet and the strategic role wine plays in some markets, for example in providing routes to market for some of the company’s spirit brands. “In this regard, wine is strategic in China (Jacob’s Creek and Mount Helen) in helping to expand Cordon Bleu into meal occasions,” it said. It also acts to dilute the fixed cost base in market such as the UK. “Wine helps to cover structural costs, with profits generated on higher-margin spirits,” it said. Furthermore, there would be a limited financial impact of the sale of the division, the note pointed out, calculating the potential disposal proceeds at around €1.2-1.5bn. It concluded that the company’s “key priorities” lay in organic growth in the business, bolt-ons, and rebuilding the dividend payout ratio from 41% in the last financial year, to 50% by 2020. Speaking at a press briefing last month, CEO and chairman Alexandre Ricard said he would continue to “dispose” of brands that “no longer fit” within the drinks giant’s portfolio, following the sale of Argentine wine brand Graffigna to Chile’s VSPT in January, saying the company was “committed” to growing value sales over volume sales. “Our wine volume sales are down by 8% due to our value focused strategy, which we’re not afraid of pursuing,” he said at the time. Rival spirit giant Diageo sold its wine business in 2016 to Treasury Wine Estates for £361 million, while last month group Constellation confirmed rumours that surfaced in October that it was offloading around 40% of its wine brands to concentrate on its higher priced power brands.